Todd Haberkorn is a proud member of the anime community and continues to be its humble servant by way of English dubbing. 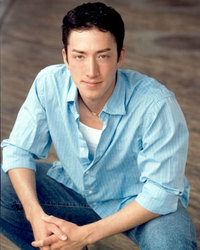 Haberkorn received his BFA in acting from Southern Methodist University and continues to work professionally in Texas & California as an actor, director, producer, and writer. Haberkorn has provided a voice for many lead roles, such as Kerri in Sgt. Frog, Yamato in Suzuko, Naru in Ghost Hunt, Raki in Claymore, Wataknuki in Holic, Allen Walker in D. Grey Man, Kyrie in Sands of Destruction, Death the Kid in Soul Eater, and Natsu in Fairy Tail. A few supporting roles include Itsuki in Shuffle, Ichimoruken in Hell Girl, Firo in Baccano!, Kono in Darker Than Black, Hikaru in Ouran High School Host Club, Ling Yao in Fullmetal Alchemist: Brotherhood and Khoza in One Piece. Check out most of the shows listed above on Hulu.com aor Funimation.com. When not in the booth, Todd is a producer with his company, Out of the Office Productions. Todd is represented by The Horne Agency.